When I started scrapbooking in 2016, I was unaware of all of the craft materials and accessories that you could buy for them. I used to collect tickets and maps whilst we were away on holiday, then arrange them in scrapbooks with photos when I got back. I didn’t go out of my way to find extra craft bits for the books, I just filled the pages with what I'd collected whilst we were abroad. 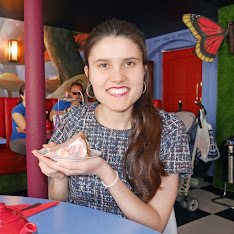 Last Summer I started ordering some polaroid-style prints from Printiki for my books and it’s since then, that I’ve really got into scrapbooking. I’ve started purchasing stickers, washi tapes, backing paper and even luggage labels, which I now use regularly within my scrapbooks. Most weekends now I drive over to The Range or take a trip into town to visit The Works, so that I can see what's new in their craft departments. 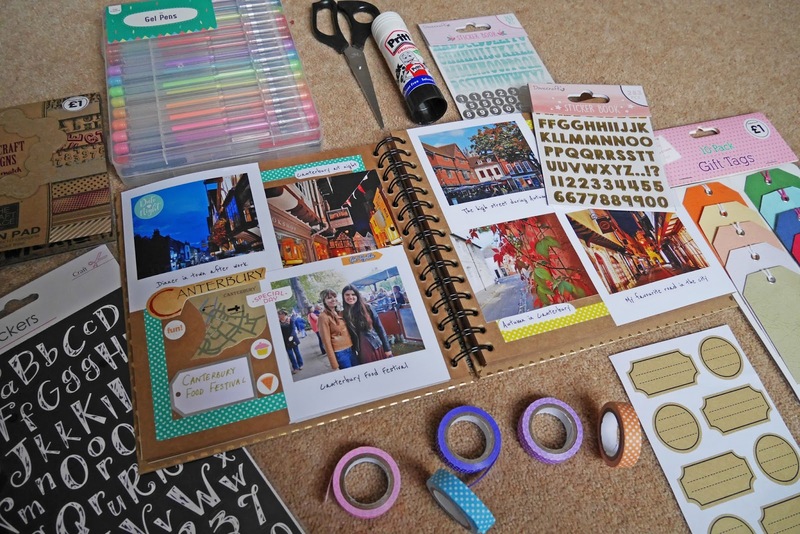 It's safe to say after many craft shopping trips, that I now know what my favourite scrapbooking materials are and a few weeks ago, I started putting together a scrapbooking starter pack for my sister Steph as she's going to make a book of her travels this year. Steph's a newbie at scrapbooking and looking for materials for her, got me thinking about what materials I'd recommend for beginners. 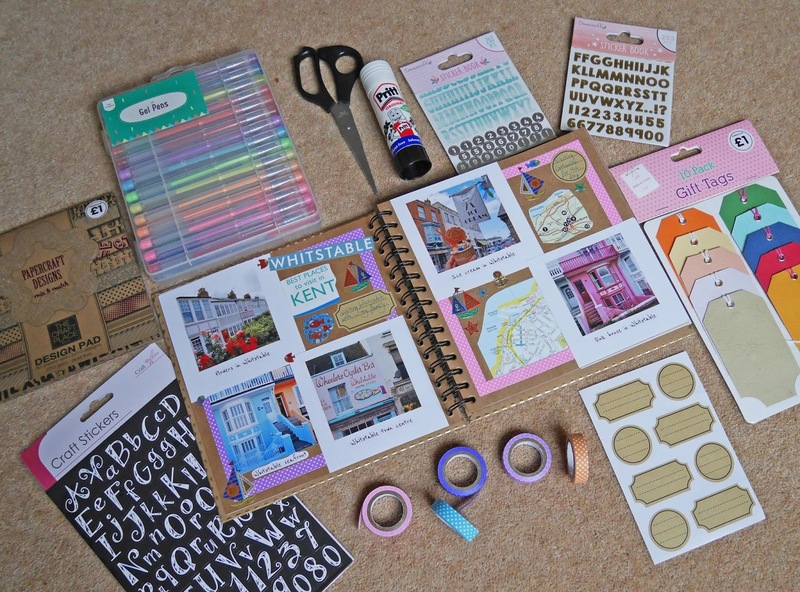 For today's blog post, I thought I'd share a scrapbooking starter kit, featuring the items that I'd recommend to any new budding scrapbook maker. Using backing paper can make your scrapbooks come alive with bold colours and patterns. Buying a big stack of mix-matched paper isn't cheap, but if you hunt around, you can find alternative smaller packs of paper, which are as little as a £1. Letter stickers are only £1 in The Range and they have all sorts of different colours, textures and fonts available. I like using these stickers to write titles, as the letters really stand out on the page. Washi tapes can be bought in multi-packs and they are perfect for applying borders to your pages. For Christmas, my Mum bought me a set of polka dot washi tapes and I am thrilled with how they look in my days out scrapbook. Getting a pack of multi-coloured gel pens is a must. If you buy a set, you'll always find a pen to match your page layouts and having gel pens is also handy if you want to get into other types of crafts too. These two items are absolutely fundamental. 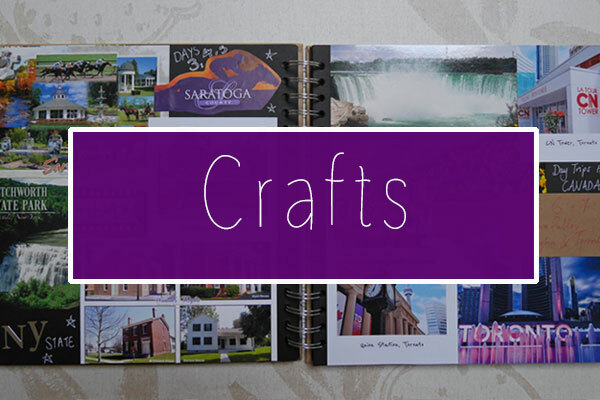 You won't be able to add photos or things that you've collected to your scrapbook without them. You can find packs of labels in The Range for £1.50. They're great if you want to write little descriptions on your scrapbook pages and make the descriptions stand out at the same time. 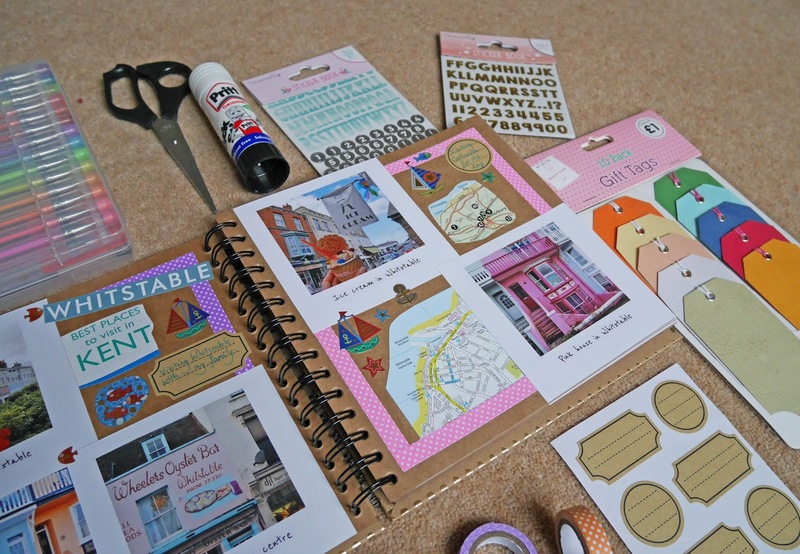 At £1.49 in The Range, the Dovecraft sticker books are an absolute bargain. I have quite a few of the sticker books myself and there are always such a variety of stickers in each of the books. The travel-themed Dovecraft sticker book is my favourite, as it features words such as "departure" and "itinerary". 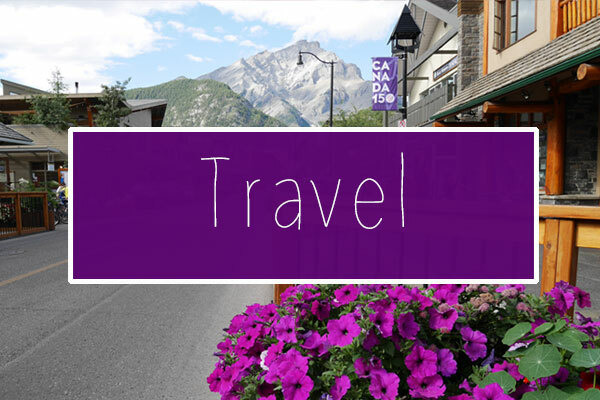 Last but not least is paper luggage tags and these are fabulous for travel-themed scrapbooks. 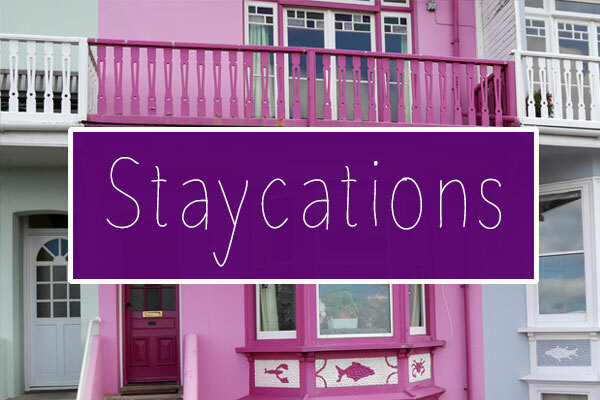 The tags are affordable at only £1 and they really help recreate a "getaway" feel within your book. Well that's it for my scrapbooking starter kit. I hope it's been useful, or at least helped provide some information about what scrapbooking materials are available. It's such a fun, creative hobby to have and there are so many great things that you can purchase which will help make your books even more special. They look amazing! I really want to get into making scrapbooks. I used to make sketchbooks for my photography A level at college and loved doing it as it was so therapeutic.